Dominant Social Theme: Money comes from government. Free-Market Analysis: This is the fundamental fault line between freedom and statism and one reason we’ve spent so much time writing about it and have been subject to so many attacks. The meme – and we early recognized it as such – that money is a state-sponsored occurrence can be found in such books as Ellen Brown‘s Web of Debt. It is a Greenbacker analysis and one that yields the conclusion that if money is state-sponsored than we can use elements of the state to “change” money and make it more equitable. This is why the enemies of freedom and solvency are constantly trying to make the argument that money comes from the state. The Bloomberg article, above, makes the same points. But money did not come from the state. It is ludicrous to argue that it did. The state cannot make anything and has no incentive to innovate. There is not one single invention so far as we are aware that comes from the state. Everything is invented first in the private market and then adapted as necessary by government. And that goes for money, too, which developed out of a competitive process, as Murray Rothbard pointed out, between various currencies. But why oversee money creation in the first place? This brings us to the second theory of money, which Goodhart calls the “C View,” standing for “cartalist” (chartalist is a more common spelling). To simplify radically, it starts with the idea that states minted money to pay soldiers, and then made that money the only acceptable currency for paying taxes. With a standard currency, tax assessment and collection became easier, and the state could make a small profit from seiginorage. The state-coin connection has far more historical support than Menger’s organic account. As Goodheart points out, strong, state-building rulers (Charlemagne, Edward I of England) tend to be currency innovators, and he could have easily added Franklin D. Roosevelt’s taking the U.S. off the gold standard in 1933 or Abraham Lincoln financing the Civil War with newly issued greenbacks. The inverse is true too: When states collapse, they usually take their currencies with them. When Japan stopped minting coins in 958, the economy reverted to barter within 50 years. When the Roman Empire collapsed in Western Europe, money creation splintered along new political borders. The article goes on to attack Bitcoin – a “currency” about which we have longstanding doubts. But even though the article is aimed at Bitcoin, what is most disturbing about the article is its mischaracterization of fundamental economic literacy. There are no words to describe the maliciousness of such a misstatement. It really plumbs the depth of depravity. It is the old market failure argument, but updated and casually tossed off with breathtaking arrogance. If one follows the logic of this statement, one arrives at the conclusion that the private market will always attempt to mislead and that government is a necessity to insure against private market corruption. If one accepts this nonsensical perspective then everything else flows logically. Government was necessary to create money, to supervise it, etc. Additionally, and most importantly, since government has MADE money, the process of government can be used to change money and make its creation and distribution more ethical and fair. And, in fact, this is what Money Power hopes you believe. There is a huge push underway to get people to believe that if governments are responsible for money instead of “private” monopoly central bankers, the world will benefit and societies will be financially healthy again. Nothing can be further from the truth. Make no mistake: Those who support Greenbackerism and speak approvingly of Silvio Gesell and Major Douglas are in league with Money Power. They are propounding a myth – that government itself can be the antidote to Money Power. But only the free market can create and circulate money fairly. Money Power controls the state, which is why statists in the employ of Money Power, want to propound the falsity that the State can liberate money. It is a con, a falsehood … a dominant social theme. It starts with the idea that the state created money, a falsehood on every level. It continues with the idea that the state-run money can be controlled by “the people” who can use monopoly central bank for their own benefit. This is of course the language of the Third Reich and the fascism that is now coming back into fashion. China, India, Russia … we are supposed to believe that because these countries have public central banks, their currency regimes are “better.” What nonsense. Conclusion: Don’t fall for this sophism. Money was created by the free market and the sooner that the creation and circulation of money is returned to the market via currency competition (including gold and silver) the better off we shall be. Why, exactly, did we go to war in the Gulf? The answer remains murky, but perhaps we can find one explanation by examining the strong and ominous Kuwait Connection in our government. (I am indebted to an excellent article in an obscure New York tabloid, Downtown, by Bob Feldman, “The Kissinger Affair,” March 27.) The Sabahklatura that runs the Kuwait government is immensely wealthy, to the tune of hundreds of billions of dollars, derived from tax/”royalty” loot extracted from oil producers simply because the Sabah tribe claims “sovereignty” over that valuable chunk of desert real estate. The Sabah tribe has no legitimate claim to the oil revenue; it did nothing to homestead or mix its labor or any other resource with the crude oil. It is reasonable to assume that the Sabah family stands ready to use a modest portion of that ill-gotten wealth to purchase defenders and advocates in the powerful United States. We now focus our attention on the sinister but almost universally Beloved figure of Dr. Henry Kissinger, a lifelong spokesman, counselor, and servitor of the Rockefeller World Empire. Kissinger is so Beloved, in fact, that whenever he appears on Nightline or Crossfire he appears alone, since it seems to be lèse-majesté (or even blasphemy) for anyone to contradict the Great One’s banal and ponderous Teutonic pronouncements. Only a handful of grumblers and malcontents on the extreme right and extreme left disturb this cozy consensus. In 1954, the 31-year-old Kissinger, a Harvard political scientist and admirer of Metternich, was plucked out of his academic obscurity to become lifelong foreign policy advisor to New York Governor Nelson Aldrich Rockefeller. Doctor K continued in that august role until he assumed the mastery of foreign policy throughout the Nixon and Ford administrations. In that role, Kissinger played a major part in prolonging and extending the Vietnam War, and in the mass murder of civilians entailed by the terror bombings of Vietnam, the secret bombing of Cambodia, and the invasion of Laos. Since leaving office in 1977, Dr. Kissinger has continued to play a highly influential role in U.S. politics, in the U.S. media, and in the Rockefeller world empire. It was Kissinger, along with David Rockefeller, who was decisive in the disastrous decision of President Carter to admit the recently toppled Shah of Iran, old friend and ally of the Rockefellers into the United States, a decision that led directly to the Iranian hostage crisis and to Carter’s downfall. Today, Kissinger still continues to serve as a trustee of the powerful Rockefeller Brothers Fund, as a counselor to Rockefellers’ Chase Manhattan Bank, and as a member of Chase’s International Advisory Committee. Kissinger’s media influence is evident from his having served on the board of CBS, Inc., and having been a paid consultant to both NBC News and ABC News. That takes care of all three networks. Who were these “superstar international consultants?” One of them, who in 1986 was the vice chairman of KA, is none other than General Brent Scowcroft, former national security advisor under President Ford, and, playing the exact same role under George Bush, serving as the chief architect of the Gulf War. One of the General’s top clients was Kuwait’s government-owned Kuwait Petroleum Corporation, who paid Scowcroft for his services at least from 1984 through 1986. In addition, Scowcroft became a director of Santa Fe International (SFI) in the early 1980s, not long after SFI was purchased by the Kuwait Petroleum Corporation in 1981. Joining Scowcroft on the SFI board was Scowcroft’s old boss, Gerald Ford. One of SFI’s activities is drilling oil wells in Kuwait, an operation which, of course, had to be suspended after the Iraq invasion. Brent Scowcroft, it is clear, has enjoyed a long-standing and lucrative Kuwait connection. Is it a coincidence that it was Scowcroft’s National Security Council presentation on August 3, 1990, which according to the New York Times (February 21) “crystallized people’s thinking and galvanized support” for a “strong response” to the Iraq invasion of Kuwait? Scowcroft, by the way, does not exhaust the Republican administrations’ revolving door among Kissinger Associates. Another top KA official, Lawrence Eagleburger, undersecretary of state under Reagan, has returned to high office after a stint at KA as deputy secretary of state under George Bush. Also vitally important at KA are the members of its board of directors. One director is T. Jefferson Cunningham III, who is also a director of the Midland Bank of Britain, which has also been a KA client. The fascinating point here is that 10.5 percent of this $4 billion bank is owned by the Kuwait government. And Kissinger, as head of KA, is of course concerned to advance the interests of his clients – which include the Midland Bank and therefore the government of Kuwait. Does this connection have anything to do with Kissinger’s ultra-hawkish views on the Gulf War? In the meantime, Kissinger continues to serve on President Bush’s Foreign Intelligence Advisory Board, which gives Kissinger not only a channel for giving advice but also gives him access to national security information which could prove useful to KA’s corporate clients. One member of KA’s board of directors is ARCO Chairman Robert O. Anderson; ARCO, also one of KA’s clients, is engaged in joint oil-exploration and oil-drilling in offshore China with Santa Fe International, the subsidiary of the Kuwait government. Other KA board members are William D. Rogers, undersecretary of state in the Eisenhower administration, and long-time leading Dewey-Rockefeller Republican in New York; former Citibank (Rockefeller) Chairman Edward Palmer; and Eric Lord Roll, economist and chairman of the board of the London international banking house of S.F. Warburg. Perhaps the most interesting KA board member is one of the most Beloved figures in the conservative movement, William E. Simon, secretary of treasury in the Nixon and Ford administrations. When Simon left office in 1977, he became a consultant to the Bechtel Corporation, which has had the major massive construction contracts to build oil refineries and cities in Saudi Arabia. In addition, Simon became a consultant to Suliman Olayan, one of the wealthiest and most powerful businessmen in Saudi Arabia. Long a close associate of the oil-rich Saudi royal family, Olayan had served Bechtel well by getting it the multi-billion contract to build the oil city of Jubail. In 1980, furthermore, Olayan hired William Simon to be chairman of two investment firms owned jointly by himself and the influential Saudi Prince Khaled al Saud. Bechtel, the Rockefellers, and the Saudi royal family have long had an intimate connection. After the Saudis granted the Rockefeller-dominated Aramco oil consortium the monopoly of oil in Saudi Arabia, the Rockefellers brought their pals at Bechtel in on the construction contracts. The Bechtel Corporation, of course, has also contributed George Shultz and Cap Weinberger to high office in Republican administrations. To complete the circle, KA director Simon’s former boss Suliman Olayan was, in 1988, the largest shareholder in the Chase Manhattan Bank after David Rockefeller himself. The pattern is clear. An old New Left slogan held that “you don’t need a weatherman to tell you how the wind is blowing.” In the same way, you don’t need to be a “conspiracy theorist” to see what’s going on here. All you have to do is be willing to use your eyes. The Elitists Will Not Change Even If they Say They Will. In the 20th century, the advocates of free-market economics almost invariably pin the blame for government intervention solely on erroneous ideas – that is, on incorrect ideas about which policies will advance the public weal. To most of these writers, any such concept as “ruling class” sounds impossibly Marxist. In short, what they are really saying is that there are no irreconcilable conflicts of class or group interest in human history, that everyone’s interests are always compatible, and that therefore any political clashes can only stem from misapprehensions of this common interest. In “The Clash of Group Interests,” Ludwig von Mises, the outstanding champion of the free market in this century, avoids the naïve trap embraced by so many of his colleagues. Instead, Mises sets forth a highly sophisticated and libertarian theory of classes and of class conflict by distinguishing sharply between the free market and government intervention. It is true that on the free market there are no clashes of class or group interest; all participants benefit from the market and therefore all their interests are in harmony. Thus there prevails a solidarity of interests among all caste members and a conflict of interests among the various castes. Each privileged caste aims at the attainment of new privileges and at the preservation of old ones. Each underprivileged caste aims at the abolition of its disqualifications. Within a caste society there is an irreconcilable antagonism between the interests of the various castes. In this profound analysis Mises harkens back to the original libertarian theory of class analysis, originated by Charles Comte and Charles Dunoyer, leaders of French laissez-faire liberalism in the early 19th century. In the short run an individual or a group may profit from violating the interests of other groups or individuals. But in the long run, in indulging in such actions, they damage their own selfish interests no less than those of the people they have injured. The sacrifice that a man or a group makes in renouncing some short-run gains, lest they endanger the peaceful operation of the apparatus of social cooperation, is merely temporary. It amounts to an abandonment of a small immediate profit for the sake of incomparably greater advantages in the long run. The great problem here is: why should people always consult their long-run, as contrasted to their short-run, interests? Why is the long run the “right understanding”? Ludwig von Mises, more than any economist of his day, has brought to the discipline the realization of the great and abiding importance of time preference in human action: the preference of achieving a given satisfaction now rather than later. In short, everyone prefers the shorter to the longer run, some to different degrees than others. How can Mises, as a utilitarian, say that a lower time preference for the present is “better” than a higher? In brief, some moral doctrine beyond utilitarianism is necessary to assert that people should consult their long-run over their short-run interests. This consideration becomes even more important when we consider those cases where government intervention confers great, not “small,” gains on the privileged, and where retribution does not arrive for a very long time, so that the “temporary” in the above quote is a long time indeed. Mises, in “The Clash of Group Interests,” tries to dismiss war between nations and nationalisms as senseless, at least in the long run. But he does not come to grips with the problem of national boundaries; since the essence of the nation-State is that it has a monopoly of force over a given territorial area, there is ineluctably a conflict of interest between States and their rulers over the size of their territories, the size of the areas over which their dominion is exercised. While in the free market, each man’s gain is another man’s gain, one State’s gain in territory is necessarily another State’s loss, and so the conflicts of interest over boundaries are irreconcilable – even though they are less important the fewer the government interventions in society. Mises’s notable theory of classes has been curiously neglected by most of his followers. By bringing it back into prominence, we have to abandon the cozy view that all of us, we and our privileged rulers alike, are in a continuing harmony of interest. 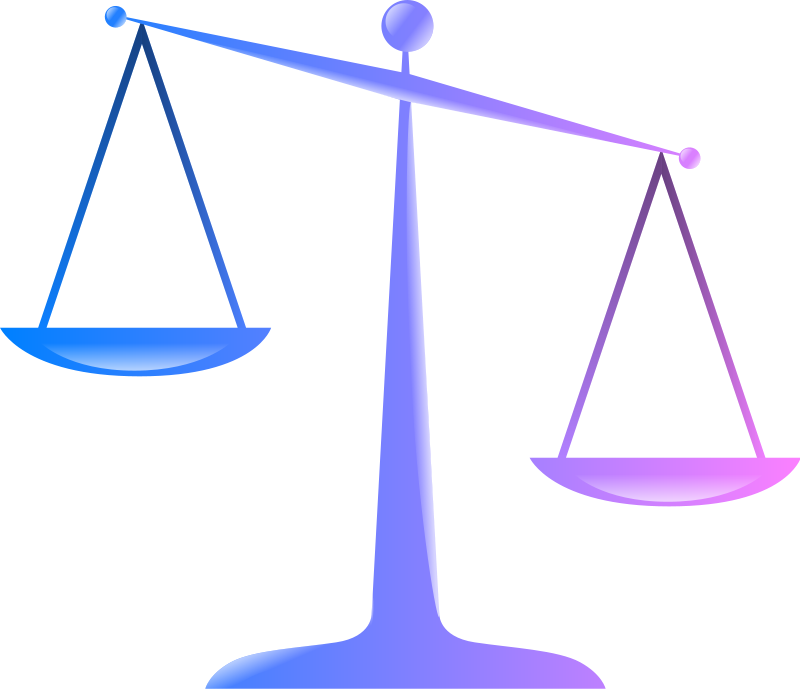 By amending Mises’s theory to account for time preference and other problems in his “rightly understood” analysis, we conclude with the still less cozy view that the interests of the State-privileged and of the rest of society are at loggerheads – and further, that only moral principles beyond utilitarianism can ultimately settle the dispute between them. Does Favoring Free Enterprise Mean Favoring “Business”? American political rhetoric seems to operate on a regular cycle, like a clock, which is why it seems lately like we are reliving the Clinton years. The story goes like this. A Democratic administration with lefty ideas gets elected, pushes hard for a series of goofy reforms like protosocialized medicine, which prompts a backlash and thereby a rethinking among the rulers, who then tack to the right and become “centrist” by praising the great contribution that the business sector makes to American life. Most of these grandiose shifts — Obama is going through one now — are illusory and pointless, like slapping a new color of paint on a car that is traveling in one direction in order to fool people into believing that it is a different car going in a different direction. It’s all superficial, and these shifts suggest that the Left accepts a caricature of capitalism: the belief that it is the system that favors the largest and most established capital owners in society. So when things start to go wrong with a socialist agenda, they reach out to the corporate kingpins in the name of becoming friendly to free enterprise. Look at Obama’s pathetic attempt to reach out to business. The administration claims it is reviewing government regulations to find those for which the cost outruns the benefits. Well, we could make some progress here by turning the Departments of Energy, Education, and Labor into sports arenas, but that’s not what the administration has in mind. Instead, you are to go to Regulations.gov and comment, if you can figure it out. I bumped into one rant that seems typical — some giant racket about home-energy upgrades — but no doubt that this site is more safety valve than work order. Obama also has some new thing he established in the White House called the Council on Jobs and Competitiveness, and this is supposed to represent his new centrism. And who is to head it? Not the owner of Cupcake Kitchen down the street in my neighborhood but rather Jeff Immelt, the CEO of General Electric, of all people. And this is supposed to signal some kind of new turn for the administration. Obama’s advisers imagine that his image has become tainted with the impression that he is too much in favor of big government — hmm, where did that come from? — and so now is the time to do the Clinton thing and triangulate by being probusiness, and hence this new council and new appointment. Yes, it is a hoax on many, many levels. The first great error here is the mental habit that many have of thinking that big government and big business are somehow at odds. The whole of American history from the beginning to the present suggests precisely the opposite. From Alexander Hamilton to Goldman Sachs, a careful look at the history shows that there has been no major expansion of government that some sector of big business hasn’t backed with pressure and funding. Who won from the mercantilism of the 19th century? Who came out ahead in the war socialism of Woodrow Wilson? Who was the major power behind the economic regimentation of the New Deal? What sectors of American life made out like bandits during World War II and the Cold War and the regulation of medical care and the American workplace in the 1960s and 1970s? Without exception, the corporate elite were behind every push for expanding the leviathan state. The 19th-century history here has been carefully documented by Thomas DiLorenzo. Murray Rothbard has revealed the role of business in World War I. The postwar period through the New Deal is documented by Butler Shaffer in his great book In Restraint of Trade. The New Deal racket received a thorough exposé with John T. Flynn. The Cold War and after are shown to be radically probusiness in For a New Liberty, as well as Robert Higgs’s excellent works. And this is just the US case: it’s been true in every country where free competition was overtaken by state interventions. There are several pieces of the puzzle one must understand to see why this is so. The largest companies have a strong interest in crushing upstarts any way they can. In a free market, they do this through better products at better prices. But that’s a hard-knock life. The struggle to stay on top in this rat race consumes all energies. Profits are always threatened in unexpected ways. Market share is never really secure. The capitalist in this system feels like a slave to consumers, and there is always another entrepreneur out there with a better idea to market. Not even gigantic companies can be sure that they can hold on. In a mixed economy, the government itself becomes an occasion of sin. Capitalists are all-too-happy to jump out of the rat race and reach for the levers of power. And to do what? To grant favors, privileges, security, protection against failure, and, crucially, to stultify competition by imposing business costs they have already absorbed onto their less-lucrative competitors. This is how the minimum wage and healthcare mandates and every manner of regulations come to be imposed on the entire business sector: it is a tactical move by the dominant players. It is the same with the regulatory agencies, who hardly make a move without pressure and consultation from business interests. Antitrust is the classic case (protecting big business against competition) but it is true with labor mandates, health mandates, environmental mandates, and everything else. It’s true with patents, great inflations, higher taxes, mandated workplace benefits, consumer-product regulations, and everything else. They are all mechanisms to cartelize the market on behalf of the biggest players, while the rhetoric about the small guy is just the political excuse. A book that absolutely blew me away was written by Ludwig Erhard, the great, Misesian-influenced reformer of the postwar German economy, a passionate opponent of the interventionist state and a man who deserves nearly all the credit for the so-called miracle experienced by Germany after the war. The book is a patient-but-compelling argument in favor of free competition and a plea to move away from wartime cartelization, from which the German business sector benefited mightily. The book is outstanding on its own terms, but much more interesting is the intended audience: not consumers, not intellectuals, not voters, but business itself, for Erhard knew what so many others seemed not to know, namely, that the business sector is among the least likely to favor the free market. It was this sector more than any other that needed to hear the message. And this becomes transparently obvious in the case of General Electric, which is as intertwined with the government as the East India Company was in its day. Mr. Immelt himself is a good case in point: not an advocate of free enterprise but rather an enthusiastic champion of regulation, green-energy subsidies, high regulatory barriers in energy, not free trade but export-driven trade, and a loud proponent of regimentation in general insofar as interventions end up benefiting his company. This guy finds a very happy home in the halls of power, pushing for all kinds of policies that the state will love. But back to Obama’s new “centrism.” What puzzles me is that left-wing triangulation of this sort could possibly fool anyone. The idealistic Left is undoubtedly upset with Obama’s new turn, but are these people really naïve enough to believe that there is such as thing as a big government that is somehow untainted by the backing of big business? As for the chamber-of-commerce Republicans, can they really be fooled into believing that such moves amount to a new friendliness on the part of Obama to the interests of the private sector? Mises wrote in his inspiring book Liberalism (still the bible of liberty after all these years) that freedom is not about being in favor of the business sector; often the the business sector is the strongest and most well-heeled opponent of freedom. Did we not learn this during the succession of Bush/Obama bailouts, all designed to privatize the gains of big business and socialize its losses? These bailouts had nothing whatever to do with macroeconomic stabilization or with the general interest of society; they were all about looting society to favor large banks and corporations like General Motors and AIG, protecting the state’s friends from the wiles of market change. Mises goes on to speak of the tragedy of liberalism. As a doctrine, it is not favored by any single special interest and certainly no single political party. It is nonetheless in the interest of the whole society over the long term; indeed, it is the wellspring of civilization. It is for this reason that Mises believed that liberalism needs dedicated champions in all walks of life. Otherwise we end up with endless cycles of phony change such as we observe by looking at the whole history of presidents after midterm elections. Jeffrey Tucker is the editor of Mises.org and author of Bourbon for Breakfast: Living Outside the Statist Quo. Send him mail. See Jeffrey A. Tucker’s article archives. So how do you achieve your end? How do you get the chocolate cake? Well, you might obtain a recipe for cake and get the ingredients and tools to make the cake: mixing bowl, eggs, flour, spoon, kitchen, oven. Then you spend some time and effort and make a cake. You make that cake instead ofwatching television or getting your car washed or changing your clothes or making a vanilla cake. We can see it in the examples I gave already. Creation just means transforming things you own already. Think about a man who has a big chunk of marble. He owns it because he found it. He didn’t create any new ownable thing. I guess you could say he’s creative in finding it, but he’s not creative in the modern intellectual property sense. His neighbor sneaks over in the middle of the night and carves a statue out of it. Who owns the statue? Under current law, it’s indeterminate. Under libertarian law, the original guy owns it. This is a clear example that creation by the neighbor is notsufficient to give rights. It’s also not necessary since the first guy acquired ownership because he found it. So you can see that creation is neither necessary nor sufficient for property rights and things. Creation is not an independent source of ownership or property rights. Stephan Kinsella is an attorney and libertarian writer in Houston, Senior Fellow of the Ludwig von Mises Institute, the founder and editor ofLibertarian Papers, and founder and Director of the Center for the Study of Innovative Freedom (C4SIF). His most recent book is Property, Freedom, and Society: Essays in Honor of Hans-Hermann Hoppe (co-editor, with Jörg Guido Hülsmann; Mises Institute, 2009). ♡ 2011 Stephan Kinsella. Copying is an act of love. Please copy and share. Writing on The American Conservative website, Daniel McCarthy argues in “Anarcho-Distributism” that the so-called state of nature that libertarians discuss would not resemble what a Stateless society would look like if the State collapsed. He argues that reasoning from the state of nature may not be the correct starting point for conceptualizing or building an alternative political structure. He therefore claims that anarcho-capitalist arguments about how private defense agencies, protection agencies, or dispute resolution organizations work assume a certain level of equality which would not be present in reality and that these institutions of justice would thus favor the rich. I argue in this article that the free marketcan provide justice without disproportionately favoring the rich. Reasoning from the so-called state of nature is useful for making theoretical arguments about what is justified. To libertarians and other righteous people, justification matters and we need to at least be conceptually capable of justification. That said, of course we also need to consider what norms are assumed in society as it has developed. For example, walking up to someone’s door and ringing their doorbell is not normally considered trespassing. It is also worth noting that there are many libertarians consider the wisdom of common law on other evolved law. No amount of purely libertarian legal theorizing that is disconnected from socially accepted norms and practices can explain why when you walk into a restaurant and order a meal, you have to pay for it, despite signing no contract. Of course, while the above type of reasoning is useful, we cannot reason our way up from nothing to a completely formed legal system. The much-maligned armchair theorizing is sometimes useful to analyze the validity of existing law, but it cannot be used by itself generate an entire legal structure de novo. The libertarian legal theorist must account for local customs, traditions, circumstances, and generally accepted norms and understandings. Libertarian legal theorizing can tell us that consent is required for transactions and other interactions, but it cannot tell us precisely what constitutes consent in various cases, nor can mechanical rules be laid out to rigidly determine this (although rules of thumb are useful). No amount of purely libertarian legal theorizing that is disconnected from socially accepted norms and practices can explain why when you walk into a restaurant and order a meal, you have to pay for it, despite signing no contract. Nor can theorizing alone even explain why contracts or the words “I accept” sometimes constitute consent, but other times do not. We have to draw upon other disciplines. We recognize that — no matter how this situation historically evolved — walking into a restaurant and ordering a meal does constitute consent to pay for that meal. We recognize this by the same way that we recognize other forms of consent — by common sense and understanding of custom. We always seek to abolish aggression, to abolish State intervention, even if that exposes other problems — which are themselves caused by other Statist interventions. What Rothbard actually said was that a real libertarian would push a button to instantaneously abolish all invasion of liberty. Because no button to end aggression exists, this is a hypothetical question regarding one’s mental state. The point of it is to influence our thinking on various issues. The point is that we should always seek to abolish aggression, to abolish State intervention, even if that exposes other problems — which are themselves caused by other Statist interventions. This related to Ludwig von Mises’ observation that interventionism leads to more interventionism: problems caused by State intervention lead to the alleged justification for more intervention. Libertarians must not only boldly oppose this, but also agitate for movement in the other direction. Returning to the issue of the State, most libertarians recognize that even if the State were torn down tomorrow, it would be rebuilt rather quickly, one way or another, quite possibly in a more despotic form. So long as there are enough people at least willing to tacitly approve of the State and tolerate aggression against them, both in their deeds and in their minds, States will continue to exist. Were the State to collapse, while the masses of the population might not work towards rebuilding it, they would readily tolerate others — the “elite” — doing this.3 As is normally the case, there is no “quick fix”. Regarding Professor Walter Block‘s proposed trials4 for former Statists in a free society — which would likely have restitution, and possibly retribution-based elements — I do not think that they are necessarily a recipe for discord and strife. People like Donald Trump, who has used eminent domain to help enrich himself5 ought not to be allowed to keep ill-gotten gains. Serious attempts to trace property back to original owners would not normally be made; however, in cases where proof could be provided and this could be done, claimants would come forth to state their cases. Most likely, these trials would work via the homesteading of claims by first-comers, perhaps by insurance companies providing private dispute resolution services. These trials would not be arbitrary, but would be brought by specific claimants, either specific victims, or defense insurance companies trying to improve market standing, and indirectly acting on behalf of many victims. The benefits might be seen in terms of lower premiums, which insurance companies homesteading claims against Statists could afford to offer to gain more customers. Another way that this might work is through outlawry trials. Offering insurance for private protection is a a business, and companies cannot afford to insure individuals who are incredibly high risks. Individuals who might be the recipients of much hostility and attempted repossession in a free market — i.e., prominent Statists — would likely have difficulty finding protection agencies willing to protect them. Evidence-based trials could be held at the request of these individuals, in which case their guilt may or may not be proven beyond a reasonable doubt. Despite my theoretical support for Walter Block’s tribunals of Statists, by the time we have a truly free market, a truly free world, it is unclear whether or not there will be many Statists left to prosecute. Would Justice Favor Those with the Most Wealth? Summarily, the wealthy criminal attempting to violate the law at will would, in the very best case, find every conceivable interaction with others much more difficult and expensive and he would rapidly become less wealthy. Daniel McCarthy argues that in a Stateless society, justice would favor those with the most wealth, and he argues that there would be just as inegalitarian a distribution of wealth in a free market as there is today. I have several responses to this argument. First, this problem is exacerbated by the State, being a clear target of these aims. Second, this has not happened historically when we have had basically Stateless societies, or nearly so. Consider: Ancient Iceland,6 Ancient Ireland,7 the not so Wild, Wild West,8 and Pennsylvania from 1681 to 1690.9,10 Bryan Caplan, “The Anarcho-Statists of Spain: An Historical, Economic, and Philosophical Analysis of Spanish Anarchism.” This is an excellent article that illustrates the fundamentally Statist mindset of socialist-libertarians when faced with the voluntary decisions embraced by free people. Socialist revolution of any kind, whether allegedly anarchist or libertarian or not, is inherently murderous. …thousands of people…were murdered because they happened to have political or religious beliefs that the (socialist) Anarchists did not agree with. 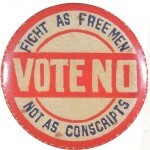 When faced with voluntary decisions of free people in a Stateless society, when these decisions affirm a desire for private property rights in objects and land, in consumer and capital goods; the anarcho- socialist, syndicalist, communitarian, communist, neo-Georgist, distributist, etc must either accept those decisions — hence at least tacitly accept the legitimacy of capitalism and private property — or become a Statist and attempt to enforce his brand of socialism.)) Surely, these places did not have basically egalitarian distributions of wealth, and may very well have been more polarized in many ways. Third, almost every market that I can think of caters not just to the rich, but also to the middle class and even the poor. Consider computers, cars, houses, books, food, financial services, restaurants, etc. Fourth and finally, the argument may be made that justice is different, as it concerns disputes between people, yet this argument is not entirely convincing, partly because of the historical examples to the contrary, but also because even the wealthy in today’s Statist society do not get away with outright theft or crime as is recognized by the masses. The wealthy usually attempt to privilege themselves with the State through systematic rules, not through outright request of special exemptions. Every politically elite group needs at least the tacit approval of those ruled over, no matter how brutal they are. This applies even in the case of dictators who may order soldiers to slaughter protesting civilians, as the dictator needs the soldiers to be willing to follow his orders. One ought to consider how a private defense agency and associated individuals who protected rich criminals would be perceived in a free market. Their reputation would be ruined, they would not be able to procure clients, they would not be recognized by other dispute resolution organizations, they would be boycotted, etc. Competing private defense agencies would have incentives to cooperate to eliminate these rogue organizations. Furthermore, other wealthy individuals would have incentives to deal with rich criminals. As with the middle class and even poor people, most rich people are good and lawful. Most of these rich people are rich because they provide valuable services or goods that the middle class desire; hence, they have incentive to deal with rich criminals. Rich lawful individuals would also be aware that they too could be victimized by rich criminals. One more consideration is that life would be difficult for those attempting to circumvent legal norms in a free society and for their protection agencies. Their protection agencies would incur higher costs. And what happens when the wealthy law-breaking clients of these protection agencies have conflicts with one another? Surely they cannot trust their admittedly corrupt protection agencies to provide a just resolution. And seeing as how these corrupt protection agencies would realize they are protecting clients with limited alternatives, would they not charge extremely high premiums? Seeing as how these individuals would be considered outlaws by civilized people, they would also have to pay for bodyguards. Summarily, the wealthy criminal attempting to violate the law at will would, in the very best case, find every conceivable interaction with others much more difficult and expensive and he would rapidly become less wealthy. He might also find himself considered an outlaw by most (a technical obstacle) and hence a target. US law is positive law and for practical purposes of enforcement, the US Constitution means whatevercourts say it means. It is worth remembering what libertarians are fighting for: liberty, private property rights, the right to one’s body, prosperity, peace, and capitalism. It is also worth remembering what we are fighting against. All of the decrees of the State are ultimately backed by lethal force and necessarily so. If you disobey any State law, edict, executive order, or regulation — no matter how trivial — the police or perhaps soldiers will kill you if necessary. In the United States, at least, they will usually try to apprehend you first. However, if you resist apprehension, and in defending your right to your body use force approaching lethal force, you will be murdered. In the case of Edward and Elaine Brown, they were not murdered for defending themselves because they did not escalate their defense to the use of deadly force. They were, however, imprisoned. For people who are not hardened criminals, prison is effectively torture. Edward Brown claims to have been tortured in prison.15 I should also note that while using deadly force to defend yourself against State officials will result in your death, it is not a necessary condition and only condition for this to happen: Many of Gandhi’s pacifist protesters were murdered by British soldiers. It thus ought to be clear that any resistance against States, even if entirely peaceful, can be met with lethal force. Where does this all begin? Freedom begins in your mind. It begins with the realization that taxes constitute robbery, that inflation constitutes a kind of theft or fraud. It begins with the realization that those in the government who would take your wealth are no better than criminals who would rob you at gun-point: simply because one calls something “collecting taxes” does not mean it is fundamentally any different from robbery. So we treat governments and their regulations as mere technical obstacles, not moral obstacles. If we pay taxes, we do so out of mere prudence, not out of any ridiculous feeling of moral obligation. Regarding prudence, we should of course keep in mind the above-mentioned example of the Browns and their fate. Libertarians have a long way to go and a lot of work to do in changing people’s minds. David J. Heinrich is a libertarian anarcho-capitalist, pro-punishment pacifist, photographer, and tennis-lover. Jesse L. Byock, Medieval Iceland: Society, Sagas, and Power (California: University of California Press, 1990). David Friedman, “Private Creation and Enforcement of Law: A Historical Case,” The Journal of Legal Studies 8, no. 2, Private Alternatives to the Judicial Process (March 1979): 399-415. Roderick T. Long, “Privatization, Viking Style: Model or Misfortune?,” Lew Rockwell Column, June 6, 2002. William Ian Miller, Bloodtaking and Peacemaking: Feud, Law, and Society in Saga Iceland (Chicago, IL: University Of Chicago Press, 1997). Joseph R. Pedan, “Stateless Societies: Ancient Ireland,” The Libertarian Forum III, no. 4 (April 1971): 3-4,8. Joseph R. Pedan, “Property Rights in Celtic Irish Law,” Journal of Libertarian Studies 1, no. 2 (1977): 81-95. Murray N. Rothbard, “Chapter 3: The State: The State as Aggressor,” in For a New Liberty: The Libertarian Manifesto, Revised Manifesto. (Auburn, AL: Ludwig von Mises Institute, 1973), 45-72. Murray N. Rothbard, “Chapter 12: The Public Sector, III: Police, Law, and the Courts: Police Protection,” in For a New Liberty: The Libertarian Manifesto, Revised Manifesto. (Auburn, AL: Ludwig von Mises Institute, 1973), 215-241. Terry Anderson and P.J. Hill, “An American Experiment in Anarcho-Capitalism: The Not So Wild, Wild West,” Journal of Libertarian Studies 3, no. 1 (1979): 9-29. Terry Anderson and P.J. Hill, The Not So Wild, Wild West: Property Rights on the Frontier, 1st ed. (Stanford, CA: Stanford Economics and Finance, 2004). Ryan McMaken, “The violent and wild west after all?,” Mises Economics Blog, September 15, 2007. Oliver Wendell, Jr. Holmes, “The Path of the Law,” Harvard Law Review 10 (1897): 457, 469. Wikipedia, “Prediction theory of law,” Encyclopedia, Wikipedia. Wikipedia, “Legal realism,” Encyclopedia, Wikipedia. The Civil War was actually not a civil war at all, but an attempted secession by one government and a war of aggression by another. Please see David Gordon’s excellent review, “The Despot Named Lincoln,” of Thomas DiLorenzo’s book, The Real Lincoln. Also consider DiLorenzo’s Lincoln Unmasked. David Gordon, “The Despot Named Lincoln,” Mises Daily, September 15, 2009. Thomas J. DiLorenzo, The Real Lincoln: A New Look at Abraham Lincoln, His Agenda, and an Unnecessary War, 2nd ed. (New York, NY: Three Rivers Press, 2003). A few decades ago, the draft was a requirement for any major military undertaking. No one would have dreamed of fighting the Germans and Japanese, or the North Koreans and Chinese, without calling up young men for mandatory service. Not until the waning years of the Vietnam War did the nation elect to rely entirely on volunteers. It was a controversial step, and one whose durability was very much in doubt. But in the intervening decades, the draft has gone from being indispensable to being unthinkable. Even the extraordinary demands of two difficult wars have not induced a reconsideration. Even the military’s leadership recognizes now that armies perform better when they’re filled with people who actually want to be there, and as Chapman points out, it’s a more efficient use of training dollars to spend them on Army careerists than on guys who’d rather be smoking pot and watching football. If this is the extent of Chapman’s argument then I agree, but I’m not any more comforted by the fact that the military’s bombing and killing of poor people overseas are performed by people who actually want to do that sort of thing. And he ignores the fact that young men must still notify the government of their whereabouts via Selective Service in case the draft is reinstated. 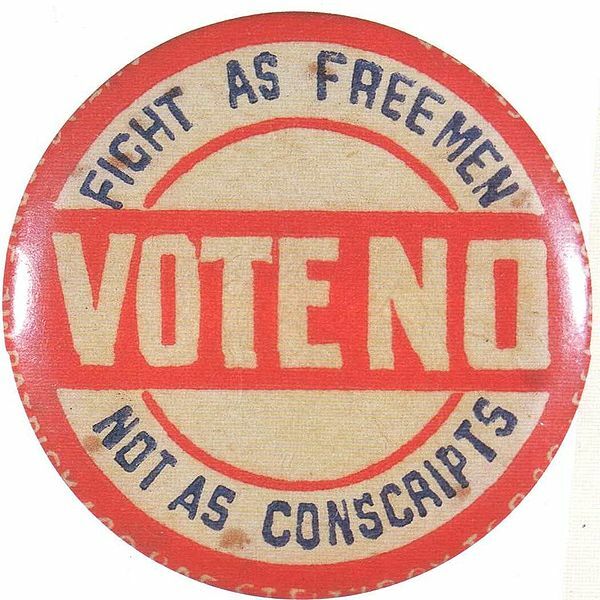 If the military really does not want conscripted men (and possibly women) among its ranks, why does the infrastructure for conscription still exist? It was once a novel experiment: fielding a force to protect freedom without grossly violating freedom by dragooning young men to serve. But it’s worked so well we’ve almost forgotten there’s an alternative. “Protect freedom” is a canard I expect from National Review, not a supposedly libertarian publication such as Reason. Few if any all-volunteer forces have ever been used to protect Americans’ freedoms, even during the Revolutionary War (see volume 4 of Murray Rothbard’s Conceived in Liberty); and there isn’t a single military campaign undertaken in the past century that could be called a legitimate defense of freedom. If one wishes to sing the praises of America’s efficient, all-volunteer killers, at least one shouldn’t pretend they exist for any reason other than to satisfy the imperialist aims of the Washington elite. “Left,” “Right,” and “center” have increasingly become meaningless categories. Libertarians know that their creed can and does attract people from all parts of the old, obsolete ideological spectrum. As consistent adherents of individual liberty in all aspects of life, we can attract liberals by our devotion to civil liberty and a noninterventionist foreign policy, and conservatives by our adherence to property rights and the free market. But what about the other side of the coin? What about authoritarianism and statism across the board? For a long while it has been clear that statists, right, left, and center, have been growing more and more alike – that their common devotion to the State has transcended their minor differences in style. In the last decade, all of them have been coagulating into the center, until the differences among “responsible” conservatives, right-wing Social Democrats, neoconservatives, and even such democratic socialists as John Kenneth Galbraith and Robert Heilbroner, have become increasingly difficult to fathom. The common creed central to all these groupings is support for, and aggrandizement of, the American State, at home and abroad. Abroad, this means support for ever-greater military budgets, for FBI and CIA terrorism, for a foreign policy of global intervention, and absolute backing for the State of Israel. Domestically there are variations, but a general agreement holds that government should not undertake more than it can achieve: in short, a continued, but more efficiently streamlined welfare state. All this is bolstered by an antilibertarian policy on personal freedom, advancing the notion, for either religious or secular reasons, that the State is the proper vehicle for coercively imposing what these people believe to be correct moral principles. This coalition of statists has been fusing for some years; but recently a new outburst of candor has let many cats out of the proverbial bag. It all began in the summer 1978 issue of the socialist magazine Dissent, edited by ex-Trotskyist Irving Howe. A lead article by the best-selling economist Robert Heilbroner says flat out that socialists should no longer try to peddle the nostrum that central planning in the socialist world of the future will be conjoined with personal freedom, with civil liberties and freedom of speech. No, says Heilbroner, socialists must face the fact that socialism will have to be authoritarian in order to enforce the dictates of central planning, and will have to be grounded on a “collective morality” enforced upon the public. In short, we cannot, in Heilbroner’s words, have “a socialist cake with bourgeois icing,” – that is, with the preservation of personal freedom. An intriguing reaction to the Heilbroner piece comes from the right wing. For years, a controversy once raged amidst the intellectual circles on the right between the “traditionalists,” who made no pretense about interest in liberty or individual rights; the libertarians, who have long since abandoned the right wing; and the “fusionists,” led by the late Frank Meyer, who tried to fuse the two positions into a unified amalgam. Both the “trads” and libertarians realized early that the two positions were not only inconsistent but diametrically opposed. In recent years, the trads have been winning out over the fusionists in the conservative camp, as the conservatives have sidled up more eagerly to power. Now, Dale Vree, a regular columnist for National Review, takes the opportunity to hail the Heilbroner article and to call for a mighty right-left coalition on behalf of statism (“Against Socialist Fusionism,” National Review, December 8, 1978, p. 1547). He also slaps at the fusionists by pointing out that the “socialist fusionists,” those trying to fuse economic collectivism with cultural individualism, necessarily suffer from the same inconsistencies as their counterparts on the right wing, who have tried to join economic individualism with cultural collectivism. But Vree’s enthusiasm for the authoritarian socialist does not stop there. He is also intrigued with the Heilbroner view that a socialist culture must “foster the primacy of the collectivity” rather than the “primacy of the individual.” Moreover, he is happy to applaud Heilbroner’s lauding of the alleged “moral” and “spiritual” focus of socialism as against “bourgeois materialism.” Vree quotes Heilbroner, “Bourgeois culture is focused on the material achievement of the individual. Socialist culture must focus on his or her moral or spiritual achievement.” Vree then adds, “There is a traditional ring to that statement.” And how! Several mavericks have been busy fusing right-wing libertarianism with left-wing libertarianism (anarchism). If the writings of such different socialists as Robert Heilbroner, Christopher Lasch, Morris Janowitz, Midge Decter, and Daniel Bell are indicative of a tendency, we may see the rise of a socialist traditionalist fusionism. One wonders if America contains any “Tory Socialists” on the right side of its aisle who will go out to embrace them. The whopping error in that paragraph is that one doesn’t have to wonder for a moment. The Buckleys, the Burnhams and their ilk have been scrambling for such an embrace for a long time – at least in practice. All that is left is the open and candid admission that this is what has been going on. A new polarization, a new ideological spectrum, is fast taking shape. Big government, coercion, statism – or individual rights, liberty, and voluntarism, across the board, in every facet of American life. The lines are getting drawn with increasing clarity. Statism vs. liberty. Us or them. Murray N. Rothbard (1926–1995) was dean of the Austrian School, founder of modern libertarianism, and academic vice president of the Mises Institute. He was also editor – with Lew Rockwell – of The Rothbard-Rockwell Report, and appointed Lew as his literary executor.